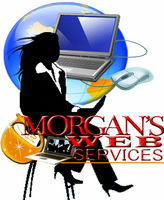 Chris Morgan One of the fastest growing rage and social marketing concept is Twitter.com. I've finally started up a twitter account early in January and have since spent a lot of time investigating and testing out the system. I'm curious to find out if anyone here is a "tweeter?" I'm now following you on tweeter. It's great that you're meeting up and actually socializing with other local small businesses using twitter. Great move! I don't tweet a lot, but I try to interact once in awhile. The key, is to send a DM whenever someone follows you to say "thanks for the follow", this is something I'm trying to keep up with. Have only been tweeting for a month and it's kind of hard to keep up. Also, the other thing that I have started doing is to go through the tweets at night and check out the page that looks interesting and send a DM, I also reply or try to interact with one of my followers or people that I'm following just a way to start conversation. Twitter is neat, it does take a little time to start conversations, but I'm finding that it's not all about business and it's truly a great social network. The connection even though many are silent leads to RT. BTW, I like what you've done with Paisley Goddess! Lukeither Willingham I'm not tweetering at this time, but I've found a lot of design resources using Twitter. gazellems Thanks Chris and God bless.